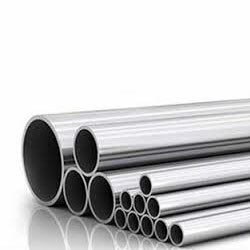 SS Pipes are the best alternative to carbon steel as stainless is a corrosion resistant steel alloy with a minimum of 10.5% chromium. Good mechanical properties along with excellent fabrication characteristics make these pipes ideal for use in oil and gas production, medical devices, structural applications, food and beverage production and corrosion-resistant vessels. 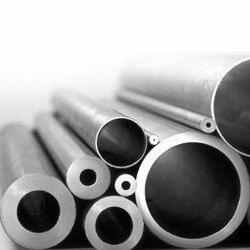 Duplex Steel Pipes are specially designed for protection against the problem of corrosion caused due to chloride-bearing cooling water and other aggressive chemical process fluids. These pipes are used extensively in heat exchangers, structural tanks, and seawater handling systems and pulp and paper making equipment. 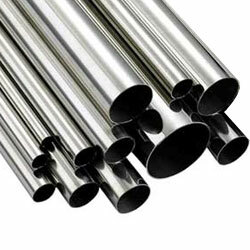 Stainless Steel ERW Pipe means electric resistance welded pipes that are widely used for structural purpose. Available with square or beveled ends, these are hot dip galvanized or electro-polished. Some other uses of the pipes are in deep boring wells, telecom sector for protection of cables and in collieries for extraction of water.